MACE has approved a scholarship opportunity for attendees of the 2019 MACE Annual Conference. 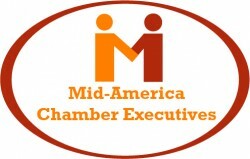 The MACE board believes the professional development of chamber executives is of utmost importance for our members. There is only a limited number of scholarships available. Applications are accepted until noon on March 29th. The deadline for registering for the available scholarships is Friday, March 29th. Applicants will be notified by email of the MACE Boards decision about two weeks before the conference. You need to be registered for the conference to be eligible.This means you should still register for the conference without knowing if you have won a scholarship. 3. The candidate's statement about their reason for wanting to attend the policy conference. What happens next if you are a Scholarship Recipient? If you have already registered and paid for the conference prior to the board selecting you as a scholarship recipient, you will be refunded your registration fee. If you have already registered, but not paid for the conference, please do not pay the registration fee for your part of the invoice. You need to be registered for the conference to be eligible. If you have not already registered, please do so, you will receive an email confirming your registration, and will contain information for you to book your hotel. Registering to be eligible for the 2019 Annual Conference Scholarship is easy! Complete all the required sections on the online application form below, and hit submit. The MACE Board will review the applications, and supporting statements. Then they will contact each applicant with the determination of the board.